There's a new trend in glamour hitting Red Carpets everywhere, but not everyone is in love. 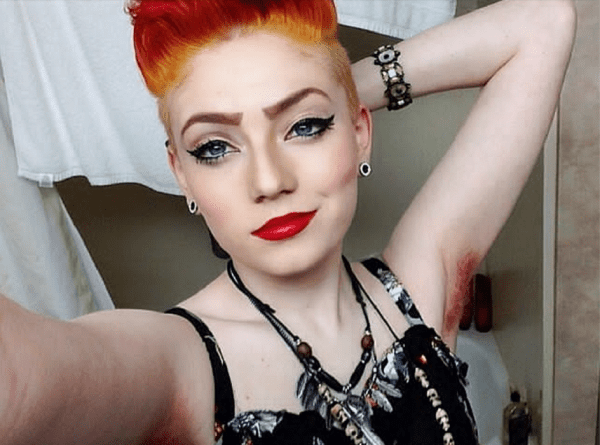 Women everywhere are putting down their razors and proudly lifting their arms to show off hairy pits. Leg hair is also going unshorn, and celebs like Miley Cyrus, Madonna, and Drew Barrymore are leading the way for this new trend. Some women are even dyeing their armpit hair, giving a colorful flash when you get a wave. Many see this as a feministic move, but some say there are other reasons, including the double-standard for women when compared to males who are ranked as 'attractive'. Whatever your personal thoughts on this new trend may be, it's certainly an interesting debate, and brings up a lot of issues about our standards of beauty and societal norms. What do you think- is this a bold move in body image, or is it a trend that needs to stop? Why Have Women's Pockets Been So Small Throughout History? If You think these Are Real Animals, Look Again. No 4 Is A Masterpiece. Pucker Up! The top 5 Lip trends!